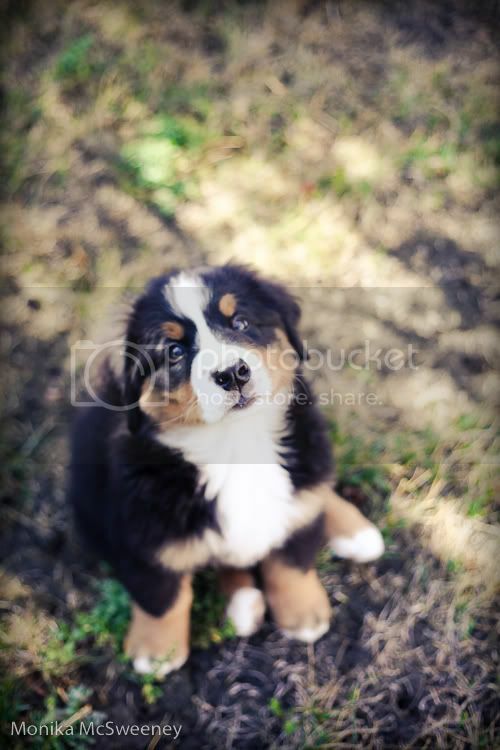 Our Bernese Mountain Dog pup Claire, she's 10 weeks old today =). I love her nose, I do. I felt like playing with a really low f-stop, having her black, wet nose in focus. Lots of bokeh plus cute doggie nose equals perfection... at least in my eyes =D.